The Review remains committed to increasing the interaction between alumni and our staff, including the hope that alumni will be interested in returning to the Review as a valuable source of information on careers, clerkships, and the substance and practice of the law. If you are interested in coming to the Review to speak to our staff on your experiences since graduation, please email our Business Office (business@columbialawreview.org). We would love to have you back. The Columbia Law Review alumni newsletter, Notes & Comments, first launched in March 2000, continues to provide information to alumni on the goings on of the Review as well as an avenue for involvement among those of you who no longer grace our halls. If you have not been receiving newsletters, and would like to, or you would like to contribute to a future issue of the newsletter, please email our Business Office. Also feel free to let us know how you would prefer to receive the newsletter; it is available to be sent in paper form, or electronically. Formed in 1901, the Review’s volume number matches the year of publication. With Volume 100, the Review celebrated its centennial. We marked this historic event with the publication of a special Centennial Issue. The celebrations culminated in a gala Centennial Banquet, held in the Low Library of Columbia University on April 6, 2000. Speakers at the banquet included alumni/ae and former Law Review editorial board members Ruth Bader Ginsburg (Class of 1959), United States Supreme Court Justice; the Honorable Mary Jo White (Class of 1974), United States Attorney, Southern District of New York; Maria Foscarinis (Class of 1981), Executive Director, National Law Center on Homelessness & Poverty; Michael I. Sovern (Class of 1955), Columbia University President Emeritus and Professor of Law; Louis Lowenstein (Class of 1953), Simon H. Rifkind Professor Emeritus of Finance and Law, Columbia Law School; and Brad Meltzer (Class of 1996), best-selling author of The Tenth Justice and Dead Even. 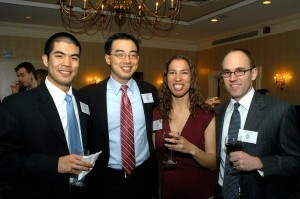 Over 350 Law Review alumni/ae and guests attended. The banquet showcased an exhibit documenting the history of the Review. As always, we want to hear from our alums. Please drop us an email and let us know where you are and what you are doing. We are currently in the process of updating our alumni database and want to be sure our information is complete and up-to-date.